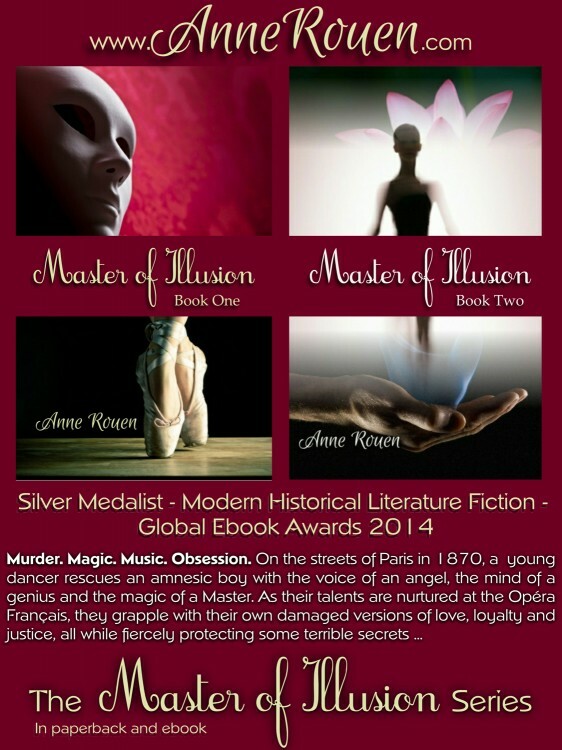 To celebrate Mother’s Day, I’m giving away signed copies of both books in my award-winning historical fiction series, Master of Illusion, thanks to the good people at Goodreads! This entry was posted in Discount Promotion, Historical Fiction, Historical Romance Novels, Historical Romance Series and tagged Giveaway, Goodreads, Historical Fiction, Historical Romance, Mother's Day Giveaway, Win a copy by Anne Rouen Admin. Bookmark the permalink.